Use this form to request a non-emergency appointment. We will contact you within two (2) business days. 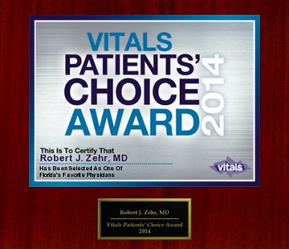 We have provided patient forms to assist you in preparing for your visit at Zehr Center Orthopaedics. Update Account Information Use this form to update your account information, i.e. change of address, insurance information, etc. Use this form to request a prescription refill for a non-narcotic prescription. Please allow 48 hours to process your prescription refill. We will notify you when your prescription has been called into your pharmacy. Use this form to request a copy of your medical records or x-rays to be sent to you or another health care provider. Please do not use this form to request records to be sent to an insurance company or attorney. Use this link to review which health insurance plans Zehr Center for Orthopedics participates with, as well as our Payment Policies. Learn more about the hospital and surgery centers we work with. Dr. Zehr and/or his physician assistant try to be available and on-call 24 hours a day for emergency care of our patients, however, in a true emergency (heart attack, stroke, broken hip) you must DIAL 911 and ask for help. 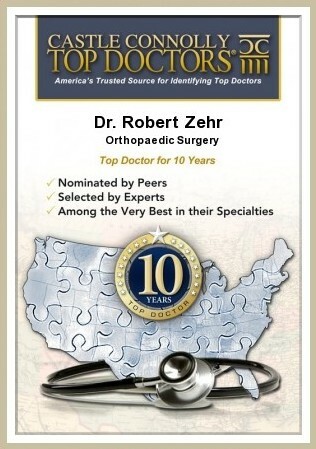 Disclaimer: Zehr Center for Orthopaedics will not be held responsible in the event your electronic message is not transmitted due to technical problems related to this site or to the hosting server. All personal identifying information is encrypted and your message will not be internally or externally forwarded to other third parties. The information will solely be used by Zehr Center for Orthopaedics.